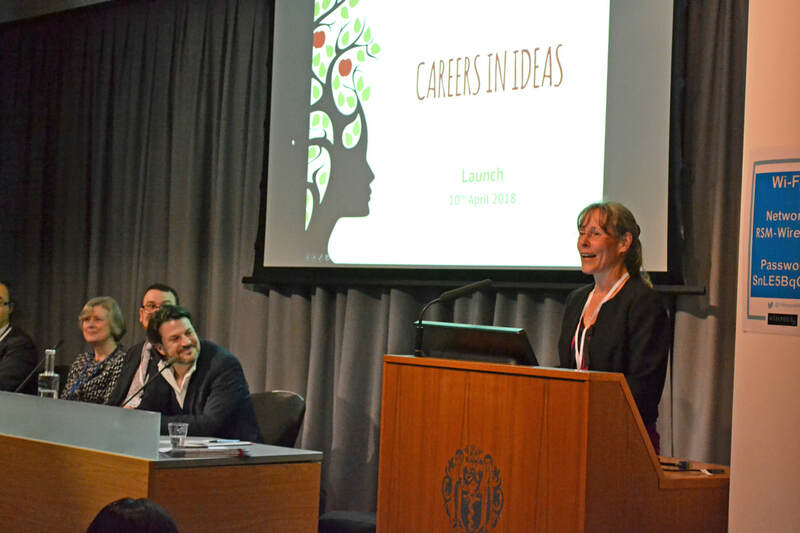 Last month, we held a launch event for Careers in Ideas, an initiative that was created for anyone considering – or who might consider – a career in the world of intellectual property, and for those who support them in their choices: careers advisers, teachers and parents. In today’s blog post, Chris Burnett, patent attorney and associate at A. 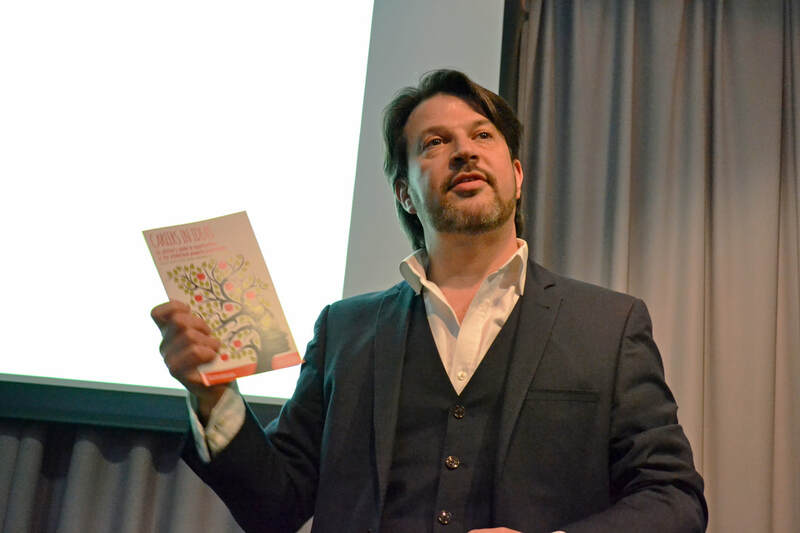 A. Thornton (one of our Charter signatories), reflects on the launch event, and the work ahead to raise awareness of the IP professions among young people. 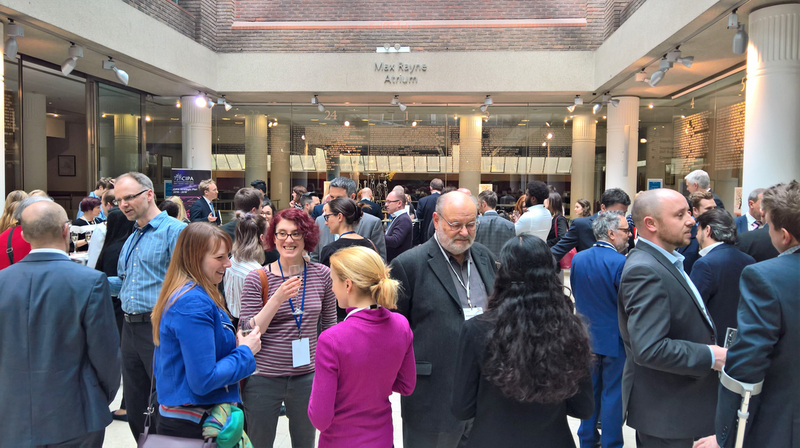 Chris writes: “On 10th April, a crowd of over 100 IP professionals, careers experts and students gathered at the Royal Society of Medicine for the launch of “Careers in Ideas”. 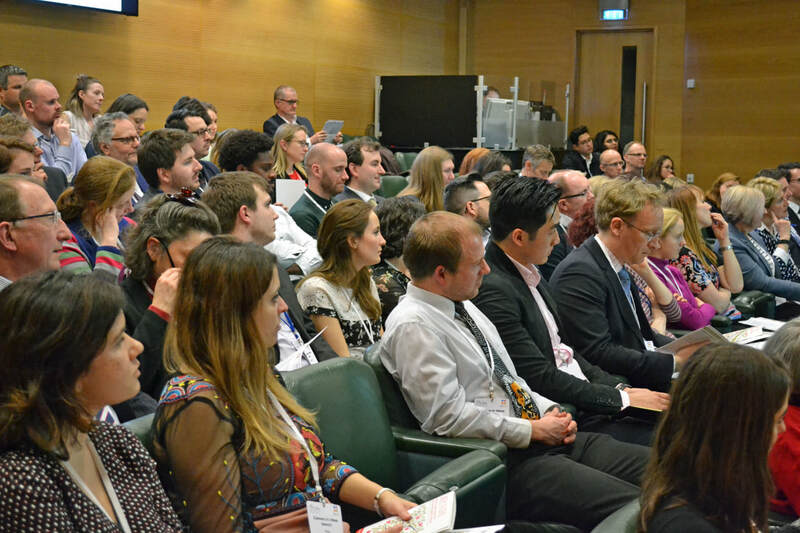 For those unfortunate not to be present, Careers in Ideas is a project set up in connection with IP Inclusive which seeks to increase awareness of the many IP-related careers available, to broaden and diversify the pool of potential entrants to the world of IP. 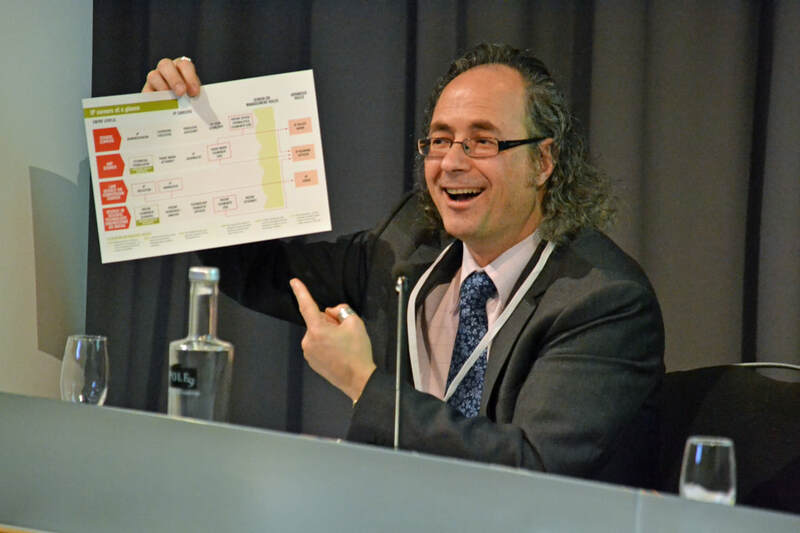 Last year, Careers in Ideas-branded careers booklet, poster, PowerPoint presentation and website were created, free for all to use, to be taken into schools and universities to introduce students to IP-related careers. 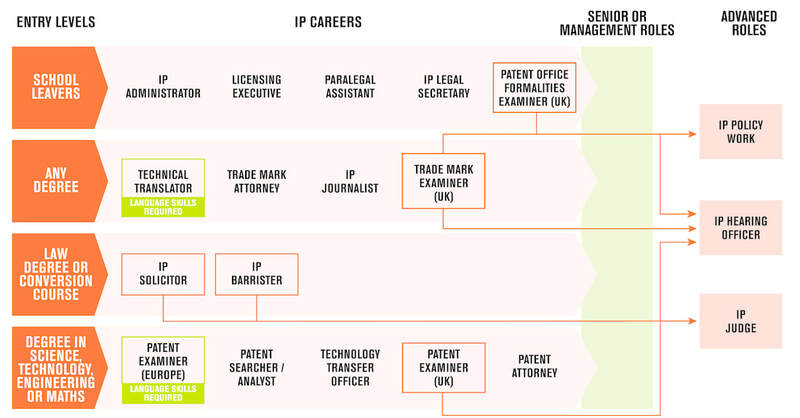 Crucially, a large range of possible careers in IP are covered by the materials, from records and secretary roles, to attorneys and judges! Host and IP Inclusive leader Andrea Brewster introduced the event, and explained the need for diversity that underpins IP Inclusive, and how many potentially great people are lost to the world of IP, since they have no awareness of IP and the possible careers available. Johnny Rich, who holds a number of roles including Chief Executive of outreach organisation Push, Chief Executive of the Engineering Professors’ Council, and a consultant in higher education, gave an enlightening presentation about the Careers In Ideas materials (downloadable from the Careers in Ideas website, here). Johnny explained how the materials were produced alongside Duncan Grant of Ashridge Communications. Johnny explained how they identified specific things about IP careers that could be used to reach a wider audience and interest young people: creativity, ideas, changing the world, and impact and influence. This is how the name, Careers in Ideas, and our three taglines (we all have ideas, sometimes people pay for them, and that’s intellectual property!) were born. The way in which the message you want to give out is perceived was emphasised during a case study. The clear and positive message given by a leading brand of washing liquid contrasted sharply with advice for a particular career that jumped from “do you like science?” to “podiatry is awesome!”, leaving out numerous improbable and unsurmisable links in between. Clearly, if we are going to invigorate the next generation of IP stars, we will need to be a bit smarter than telling people that “patents rock!” or “trade marks are sick” or whatever it is kids say these days. I was fortunate to chair a panel discussion with the very people who knew exactly how to make best use of the materials. The panel consisted of Johnny Rich, Keith Herrmann, Director of Employability and Careers at University of Surrey, and my colleague at A. A. Thornton Julie Barrett-Major, a patent attorney who had also worked at the University of Essex and has extensive experience of talking to students. 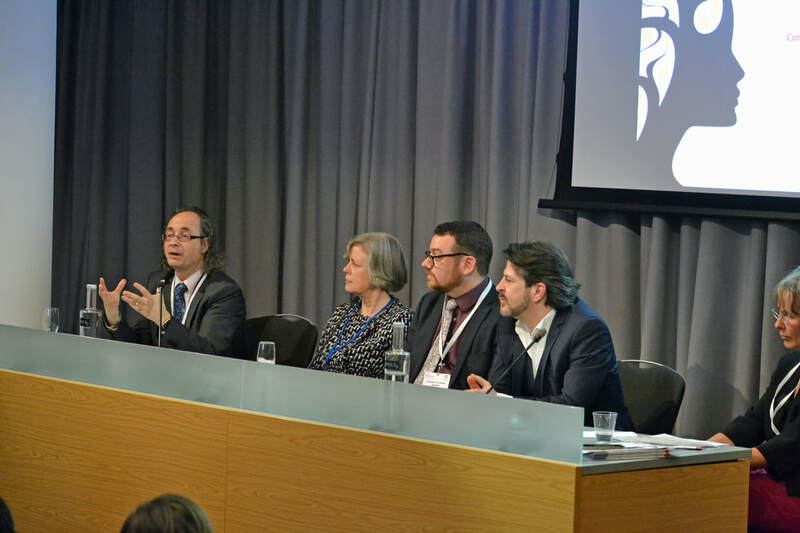 The panel provided a great insight, and left the audience in little doubt of the road ahead: If we are going to inspire the next generation with careers in IP, we are going to have to get them whilst they are young. Certainly, for best results students shouldn’t be introduced to IP much later than the first few years of secondary school. Johnny explained that once they have made a career decision, students often will not change their minds. We will need to influence their original decisions. Keith explained that careers paths are not linear. We should explain to young people that if they start along one path into the IP professions, they may still be able to cross over to another path. So, GCSE, A level and degree subjects may not tie someone down to a particular path. Caution is required however, since certain careers in IP require particular qualifications, such as a science or engineering degree, which requires the right choice of A-levels – if a student has a particular career in mind, they ought not to close the door early by taking the wrong subjects. When talking to younger students, there is little to be gained in talking exclusively about the careers themselves. The average 12 year old will probably only be aware of the careers of their family, their teachers, and what they see on TV. There is less awareness-raising needed for doctors, teachers… astronauts. Julie explained that the best way to engage with the students is to find out what interests them. IP surrounds us, so it is not hard to find examples the students relate to. Are they into music? You can talk about copyright, maybe how Robin Thicke’s song “Blurred Lines” didn’t blur Marvin Gaye’s lines. Are they into fashion? There are hundreds of copyright, design and trade mark aspects to discuss. They like their gadgets, their phones? The next great electronics attorney or tech transfer guru could be sat in front of you. Essentially, you can raise awareness of IP, and get the students thinking about everyday examples, without having to mention a single specific career. Down the line, when the students are thinking about career choices, they will be amenable to a career in IP if their minds are already switched on to what IP is, and the materials will be there to guide them. There is a clear distinction between the two. Outreach is a long term awareness-raising exercise. As Keith pointed out, it’s a 20-year game. Recruitment is an immediate-term attempt to fill a vacancy. Both are of course necessary, and a thorough and well-implemented outreach program will aid recruitment immeasurably. You want to recruit the best possible person for the job? You can only do that if they actually apply. Get the outreach right, and the chances of the best people applying increases. Although it is preferable to target the young, sixth formers, secretarial college and university students could still be convinced to consider a career in IP. And, it will get easier with time. This all sounds so terribly daunting! Here’s the thing. In order to increase the pool of talented, diverse candidates, firms won’t need to empty into every school in Britain and overnight become outreach workers. There aren’t that many jobs in IP every year to justify it. As few as 50 secondary schools in the UK, having the right blend of ethnic and socioeconomic diversity, might be enough to sustain a decent pool of future talent. That’s less than one school a firm! But how to link up with a school? The key is for each firm to establish a working relationship with the school. Get to know the “gatekeeper”. Perhaps a member of staff has a child there? Or a family friend? Maybe you went there yourself (bearing in mind we are trying increase diversity, not entrench the opposite!). Schools have to provide careers advice, and providing a fun package that is relevant to what the students are learning at the time might go down well. Do they have a science week? Or a project related to business studies? Maybe they have other speakers from different fields in during careers week? The materials include a presentation that could be bolted on to that of another speaker. Speak to the school, find out what might work. Similarly, ties could be established with a local university. The IP world will benefit as a whole if every firm does their bit. Individual firms will benefit too. You will make new contacts, attract a broader pool of candidates, get good PR, and give staff speaking opportunities. Thank you Chris for this excellent report and to Richard Hayward of CITMA for taking lots of pictures on the night.